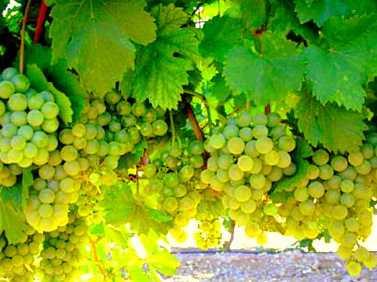 A high quality white grape, also known as Rueda Superior, is primarily grown in the D.O. Rueda. It typically produces a well structured and well balanced white wine as a result of its good acidity. Verdejo is both herbaceous and aromatic, generally known for its nutty flavors with hints of both honey and pear.